NEW Fragrances for the Tulasi Incense Range: Four great new aromas including Arabian Musk, Cedarwood, Citronella and Poison. 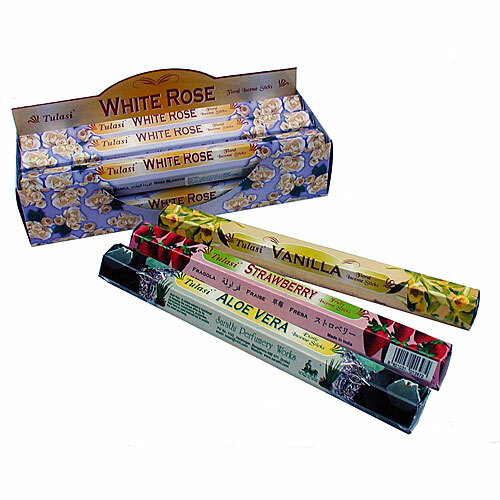 An Indian incense that contains Twenty 9 inch long sticks in a hexagonal packet. Each box has six hexagonal packets of one fragrance per display box. Bulk Price available: if ordering more than 24 boxes in any mix of fragrances including the aromatherapy range and herbal ranges. Tulasi bulk price available.